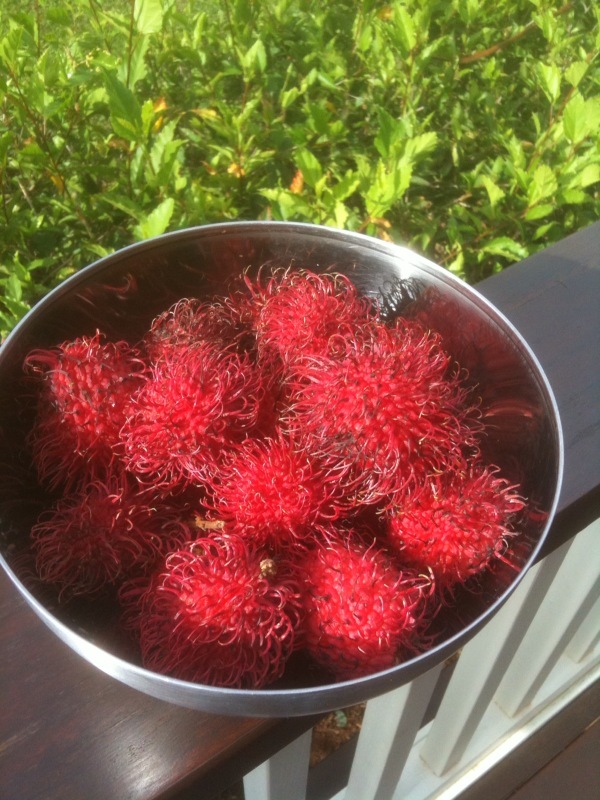 You are currently browsing the Elisabeth Shim, MD blog archives for February, 2012. 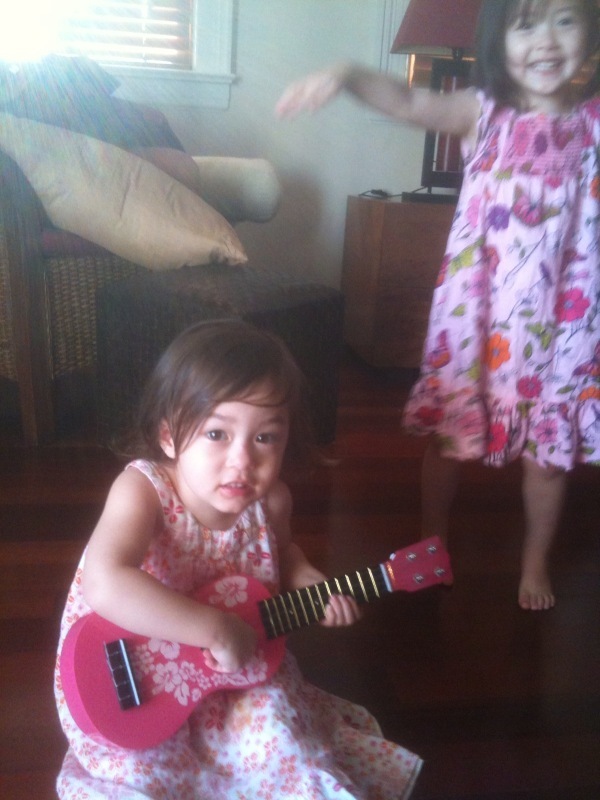 Island Girl and her Ukelele Video. We returned from a wonderful trip 1 week trip to Kauai. This was my third trip to Kauai, the first trip was 10 years ago. I love the low key, laid back atmosphere. Our family rented a lovely oceanview house I found on vrbo and it was a great value. Let me know if you want more details! 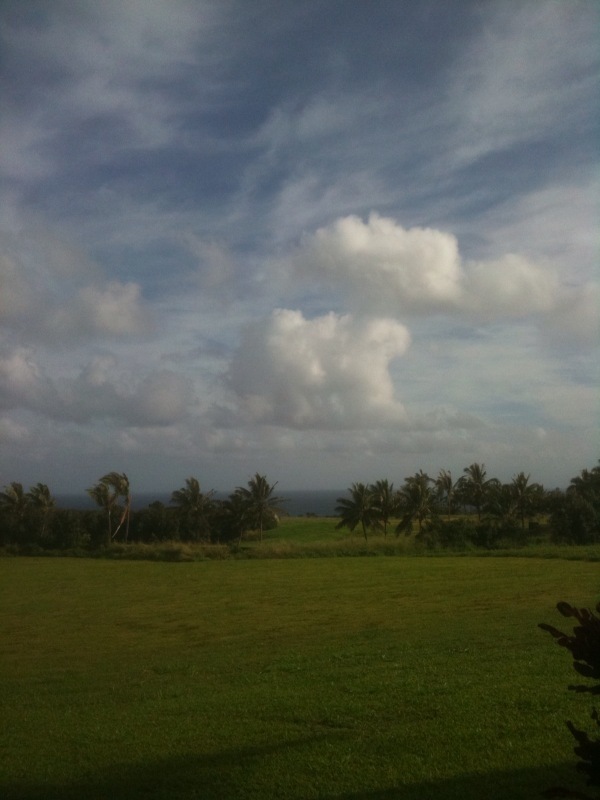 There were lovely unobstructed views in the front and backyard, and a mama and baby Kauai rooster on the property. Funnily enough, there was a young couple renting the guesthouse on the property and they came over and introduced themselves thanking me for renting their lovely room. Then, I also had a woman asking me why Ni’ihau shells were found on the beach this time of year, and I said, “I have no clue, but can I see what they look like?” I must fit right in, or they felt compelled to ask the only Asian person they’d seen on the Northeast side of the island! The week did not exactly start off relaxing, as I thought that I had forgotten my contact lenses and makeup and my dog was having issues at the kennel. I found a high prescription snorkel mask to rent, gave up on looking remotely decent and took care of my dog issues via phone. We were 8 miles from the nearest grocery, so I cooked a lot of meals with local, organic ingredients we picked up at various daily farmer’s markets. Of course, at the end of our trip, I found my contacts and makeup. That’s what I get for taking care of everyone but myself! Verdure sunscreen prevented everyone from burning. I’m running out of inventory, so look out for a new version next year. These girls are the loves of my life. I am so blessed and glad that I prioritized becoming a mom and didn’t give up on the dream. The most trying experience of my life, but the most joyful and meaningful. Everything else is just icing on the cake! My job taking care of patients is so much easier than being a mom of multiples, but I love that I am able to love and do both. …well at least it’s not genital warts (see previous post). Once you get a skin cancer, unfortunately, you often will get more. The younger you are when you get one, the more likely you will have more in your lifetime. Almost everyone we treat with Mohs surgery has had a previous skin cancer elsewhere. It is important to prevent skin cancer in the first place by avoiding prolonged sun exposure and practicing common sense sun protection. Does that mean you have to be a recluse? No, but purposefully sunbathing is not very smart. An experienced dermatologist can often recognize a skin cancer in its earliest stages, though every dermatologist has missed something at some point in their careers. (And if they claim they have not, they are big fat liars!). Therefore, we rely on patients to do their own self exam and observe any suspicious lesions for changes in color, shape, size and border, and to come in for periodic exams. Don’t let anyone freeze any lesions more than once without discussing the possibility of a biopsy for any persistent or recurrent lesion. The person that set the record in my office for the longest time spent in Mohs surgery in one day was a celebrity in his 40’s who had had a lesion frozen twice with two different dermatologists. He pulled through wonderfully and took it very well considering, but we were both dumbfounded at the extent that this tumor had grown. I love what I do and I get the most satisfaction from educating my patients on their skin lesions and skin cancer, but I would rather not be cutting off parts of your nose, eyelids, lips, etc for your sake. Preventative care is really important.